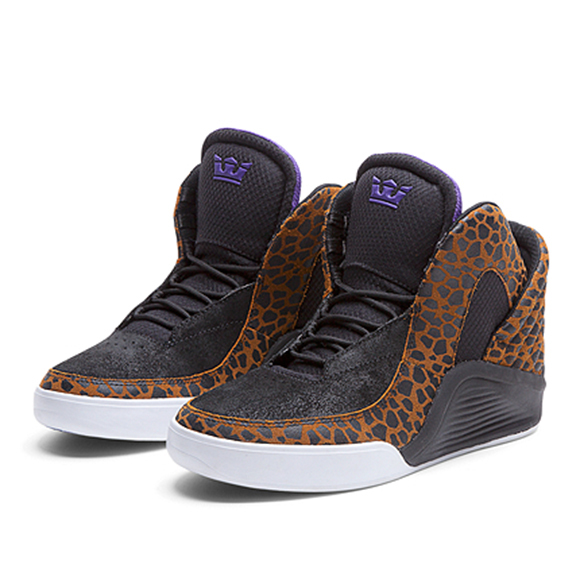 Lil Wayne’s first shoe with Supra, the Chimera, is a high top masterpiece including a clamshell heel panel, stash pocket in the tongue and over the top padding for the most comfortable fit possible. 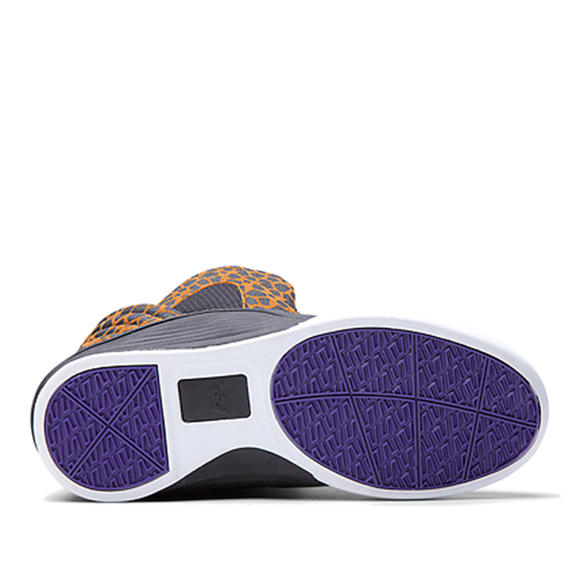 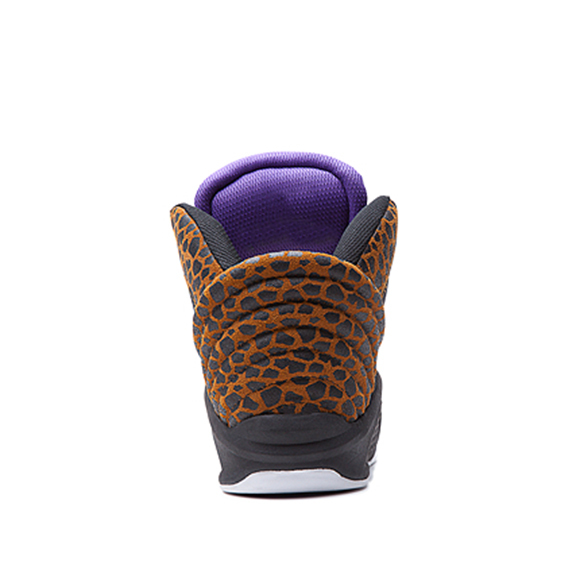 This edition is covered with Cheetah print around the upper of the shoe to go along with the mixture of black suede and mesh on the tongue, toebox, laces and SUPRAFOAM midsole. 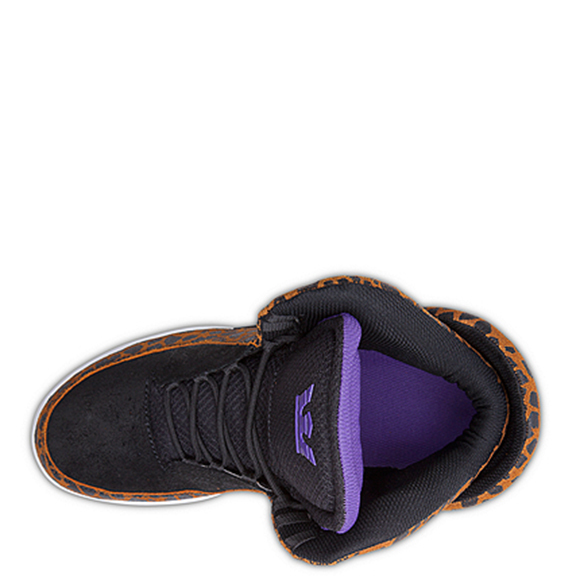 The purple accents add to the outrageous one of a kind shoe making it a must have for $125. 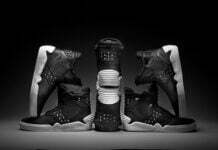 Check out Supra for more of Weezy’s Spectre line and stick to Sneakerfiles for all new updates on kicks and gear! 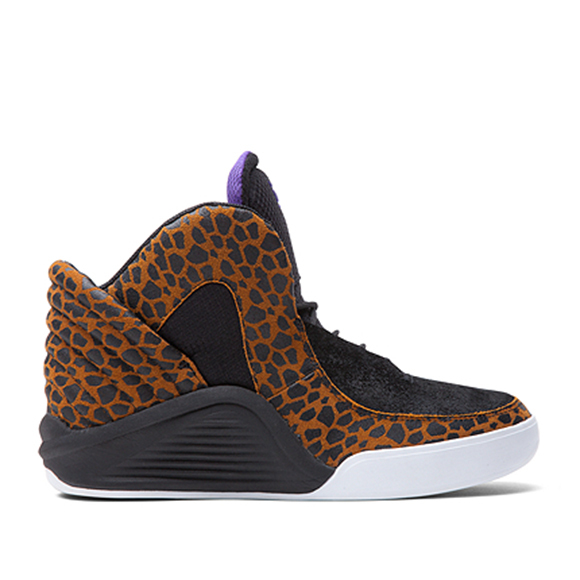 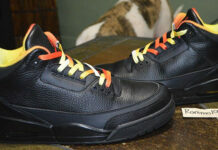 way to go lil wayne, you managed to make a shoe that’s even more crap than your raps. 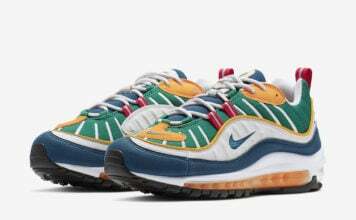 tough task that.